The number of visits to the download page hardly changed. The number of completed Windows installs hardly changed. The number of downloads of my Mac installer hardly changed. Odd. On further investigation it turned out that a number of Chinese IP addresses were downloading my Windows installer again and again. My software is not localised into Chinese and I get very few sales from China. Also there were no installs from these IP addresses (my software puts up a ‘thank you for trying’ page when it is first run). It was a substantial increase in bandwidth, but not enough to be a serious denial of service attack. Very odd. I am on an unlimited bandwidth hosting contract so I wasn’t paying for the extra bandwidth. 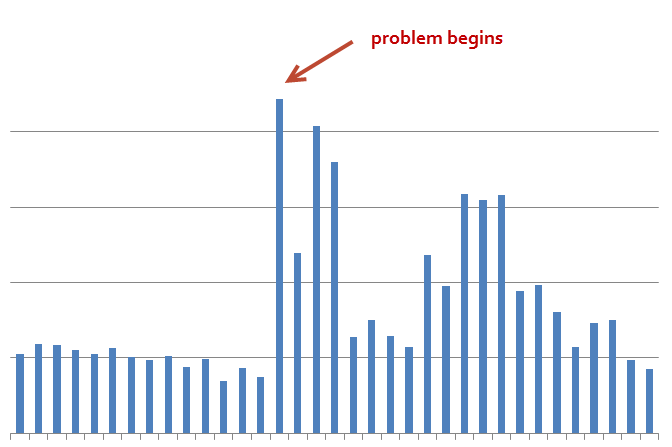 But I was worried that the volume of requests would slow down my web site. So I put a .htaccess file in the downloads directory to block the worst offenders. After a few months I got the bandwidth from China down from ~30GB per day to ~100MB per day. I have been playing this game of ‘whack a mole’ every since. 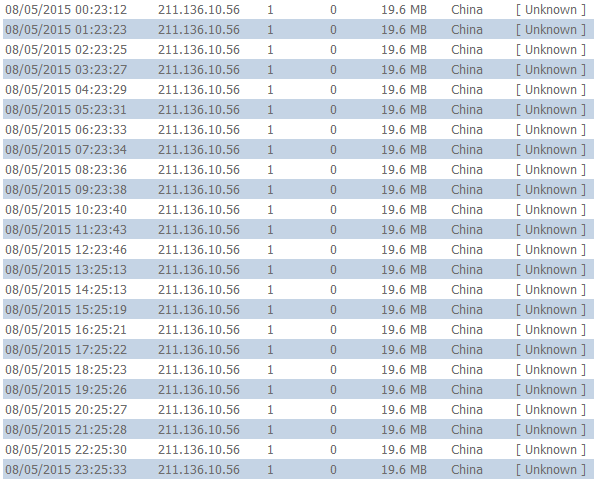 Currently I have some 1700 Chinese IP addresses blocked. As an example I recently blocked IP 211.136.10.56, which was downloading PerfectTablePlan around 20 times per day, but never visiting a page on my website. Web Log Storming classifies it as a ‘spider’. whois.domaintools.com says the IP belongs to ‘China Mobile Communications Corporation’. The IP is not listed on projecthoneypot.org and I wasn’t able to find out any more from casual Googling. But it is a bit of a nuisance to keep having to do this. Other software companies are having similar issues. But I haven’t come across any compelling answers about why this is happening. Perhaps it is a way of masking some other nefarious activity? Does anyone have any idea what is going on? This entry was posted in miscellaneous and tagged bandwidth, bots, china, chinese, downloads, ips, software on 14 May 2015 by Andy Brice.